ISCB is pleased to offer travel fellowships to ISMB 2016 for students and postdoctoral fellows to present a talk or poster at the conference in Orlando, United States. Funding sources for Travel Fellowships are very limited and we regret that we are not able to fund all applicants. The conference organizers are committed to providing support to as many eligible applicants as possible. Travel Fellowship consideration is based on membership and accepted work to ISMB 2016. Travel Fellowship Application Invitations are sent directly to eligible individuals after acceptance of a Proceedings, Highlight, Late Breaking Research, Poster (excluding accepted Late Posters), Art and Science and Special Session submission. The deadline to submit a fellowship application is May 6, 2016, by 5:00 Eastern Time. No exceptions will be made. Each invitation will include a unique travel fellowship application URL to link to an application. The application URL must be submitted by the presenting author only, if he or she meets the qualifying requirements. If the submitting author is not the presenting author, it is the responsibility of the submitting author to forward the invitation to the presenting author if he or she meets the eligibility requirements. Each application URL can only be used one time and no application will be accepted after the deadline of May 6, 2016. Applicant must be a current ISCB member whose membership does not expire prior to the last day of the conference (July 12, 2016). Applications will not be accepted from non-members; pending memberships do not qualify and must be paid in full prior to submission of an application. Applicant must be registered in a degree program (undergraduate or graduate) or as a postdoctoral research fellow at an accredited educational institution at the time of the conference; post docs and employees of any US federal agency are ineligible for funding using US federal funds - currently we have only US federal funds for this travel fellowship program. 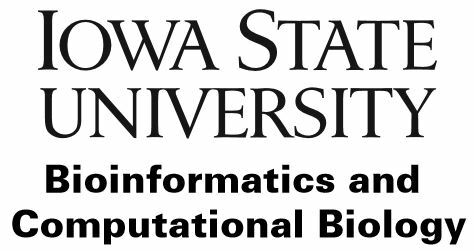 Applicant must be prepared to register for ISMB 2016 by the early registration deadline of June 2, 2016, and plan to attend all 3 conference days (July 10, 11, 12). If attendance at the conference is dependent on receipt of travel fellowship funds, please do not register until after the notification of travel fellowship funding. Any funded applicant failing to register for the conference by the early registration deadline of June 6, 2016 will automatically forfeit the funds so that another applicant can be awarded from among the original pool of applicants. Applicant must be able to pay all expenses of attending the conference up front, including conference registration fee (as noted in #4 above), travel, accommodations and meals. Travel Fellowship funding will be provided as a reimbursement as a check payable in USD and mailed to the participant approximately 6-8 weeks after the conference. Eligible expenses toward travel fellowship funds include conference registration, transportation (air or land transportation from home region to conference city), a maximum of $660 USD of hotel room and occupancy tax charges, and a maximum of $165 USD in meal expenses. In order to receive the full-awarded amount, receipts for registration, transportation and hotel accommodations are required that equal or exceed the awarded amount. Conference registration fee is reimbursable at the early registration pricing only; registration fees to attend pre-conference events such as SIGs and Tutorials are not reimbursable expenses, but the registration fee for the Student Council Symposium is an accepted expense (only when also registering for the full conference). Applicants will be notified no later than May 27, 2016 of the funding status. In some cases applicants may be notified they are on a wait list for funding, which means that ISCB is fully expecting but still awaiting the formal confirmation of our grant award from one or more granting agency, and that awarding of those funds will not be possible until the grant needed to fund the travel fellowship is confirmed. Any wait listed applicant that is eventually awarded funds will be offered the opportunity to register at the early registration rate, therefore, please do not register for the conference if your attendance is fully dependent on being awarded a travel fellowship as any cancellation of an applicant's registration will be subject to the full regular registration cancellation policy. Federation of American Societies for Experimental Biology (FASEB) sponsors Underrepresented Trainee Travel Awards to support the scientific meeting participation of full-time postdoctoral fellows and students from underrepresented groups in the United States. The awards will provide up to $1,850 in funding for meeting registration and travel-related expenses to each award recipient (in the form of reimbursement after the meeting). Individuals [undergraduate students] from disadvantaged backgrounds, defined as those from a family with an annual income below established low-income thresholds and those who come from an educational environment that has inhibited the individual from obtaining the knowledge, skills and abilities necessary to develop and participate in a research career. The travel awards are supported by a federal training grant from the NIGMS/NIH. Travel Awards are Contingent Upon Funding Availability: Please be advised of the following information pertaining to FASEB travel award funding for meetings and program activities that occur after June 30, 2016: FASEB is awaiting a funding decision from NIGMS/NIH. Any FASEB Travel Award offered for scientific meetings that will take place on or after July 1, 2016 will be offered on a “conditional/contingent upon funding availability” basis. The information on this page is subject to change without notice, and all changed information will be considered final for the purposes of awarding and funding ISMB 2016 Travel Fellowships.